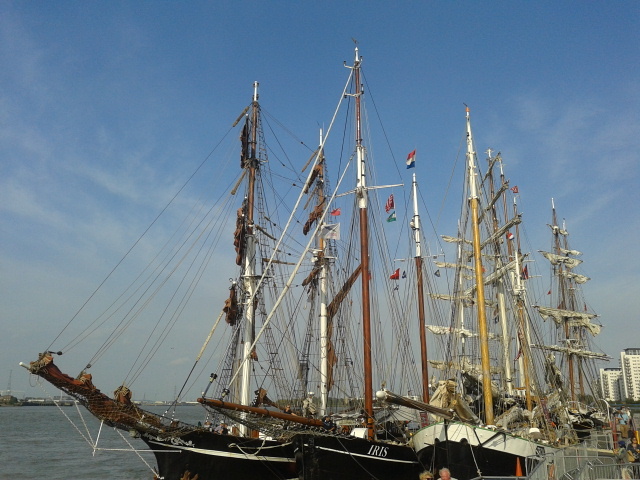 It was essential for me to go to the tall ships regatta at Greenwich in September. 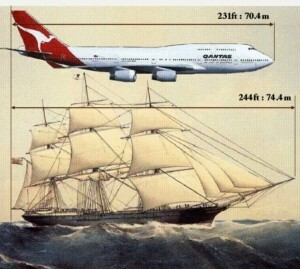 As many of you know I have been a bit of a tall ships groupie since I first discovered them in 1993 at Newcastle. I tried from then on to see them somewhere each year as they made their way through the races and cruise-in-company legs of the Cutty Sark Tall Ships Races, subsequently http://www.sailtraininginternational.org/. I wanted to experience sailing on the Thames on a tall ship, to capture the feeling of what it would be like in the great days of sail when City of Adelaide graced the seas, and be amongst the sails of other great vessels as we glided past the Royal Naval College at Greenwich from Woolwich, where some of the participating vessels were moored. 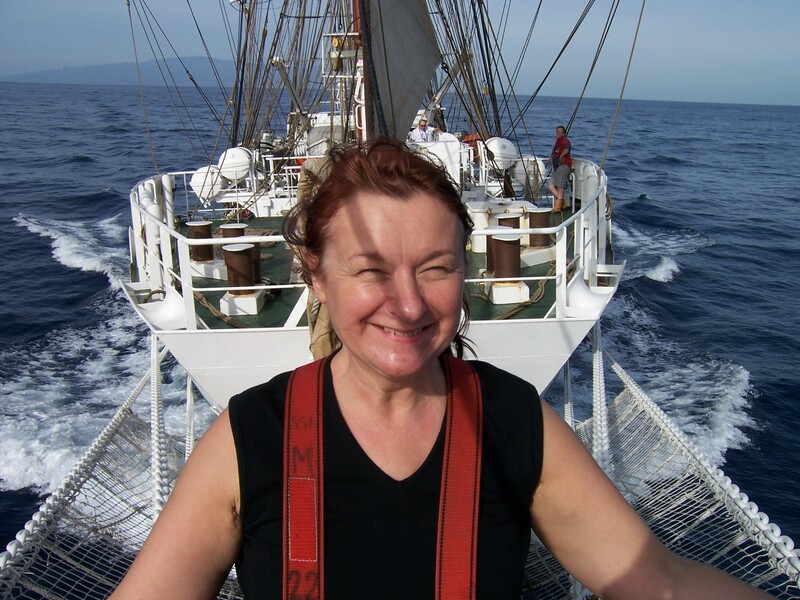 I had the great privilege to be drawn to sail on Oosterschelde. 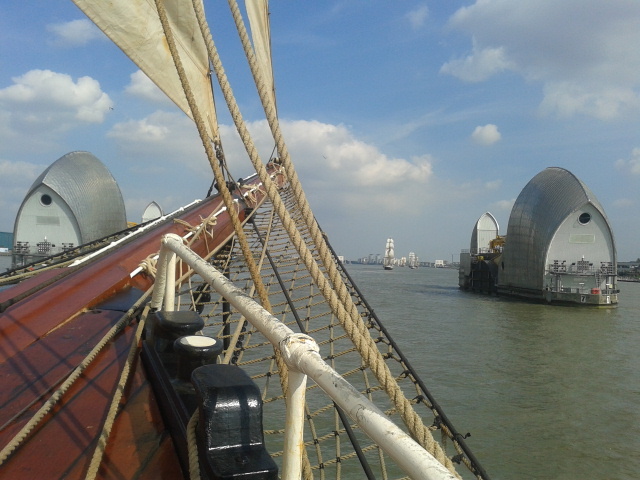 The day was calm and sunny and we sailed through the Thames Barrier. 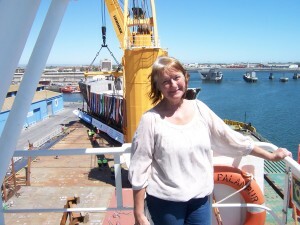 I chatted with the Captain for several minutes about the vessel and discovered she had been a cargo vessel originally. 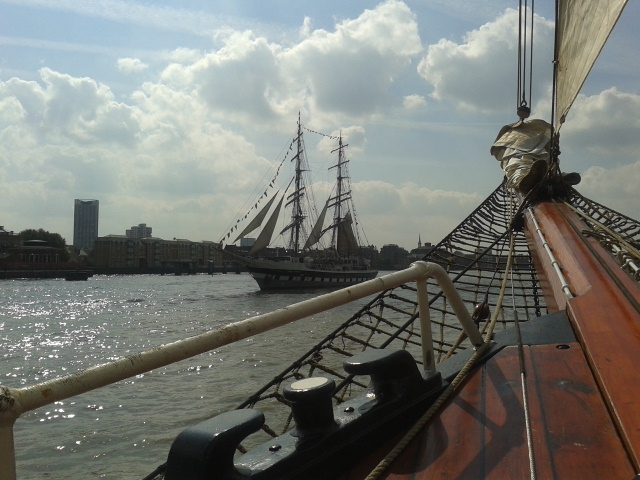 Here we are with Stavros S Niarchos to port. 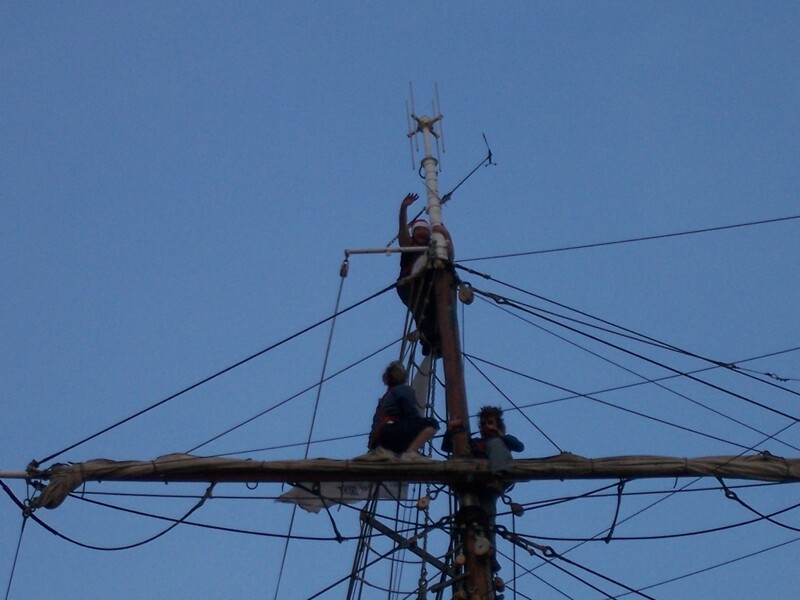 Here I am on Stavros S Niarchos bowsprit in 2005, whilst crewing the ship round the Greek Islands with my husband, Alan, over Hogmany 2005.
and at the top of the 145′ mast. I visited the National Maritime Museum and discovered City of Adelaide‘s builder, William Pile was not in the listing of shipbuilders in Sunderland. 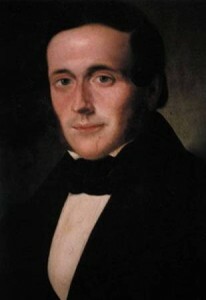 This sent me on a mission to find out why. You could have knocked me down with a feather when I met a lady called Cathy at Kings Cross on my way home. Her cousin Pam knows all about the shipyards. I have been to stay with her and spent many hours carrying out research and learning how to caulk under the experienced, watchful eye of Derek.